For the past couple of years my school has been involved with a project in collaboration with MIT and the IB, as well as several other IB schools scattered around the world. This is a guest post from our Director of Teaching and Learning, Jacob Martin, who explains the scope of the collaboration far more eloquently than I. It's exciting to be a part of this project and I'm interested in seeing where it goes and what part this framework might play in the enhanced PYP in our context. As a leading International Baccalaureate(IB) World School, we are frequently asked to participate in the development of educational practice at IB schools. 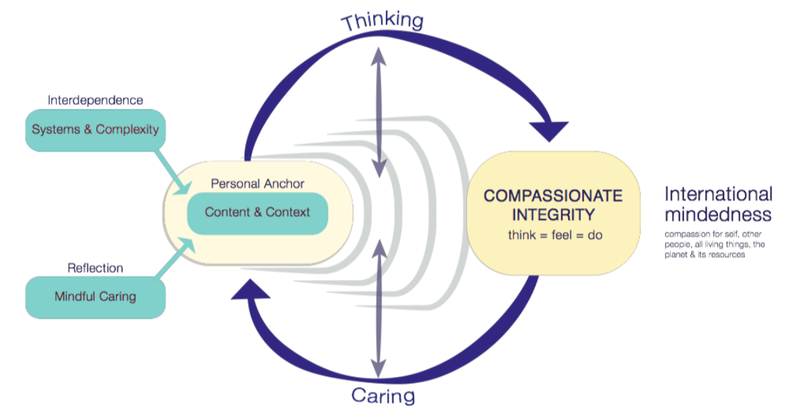 One of the most exciting recent projects ISZL is taking a leading role in is the development of a new set of classroom practices called "The Compassionate Systems Framework". 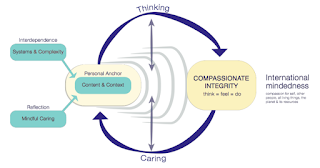 This is a combination of systems thinking tools often used in the classroom (examples here) and the development of a compassionate mindset in students. We have been truly amazed by the results of some of the works we have done with teachers and students at our school and the project is becoming a global educational project with ISZL leading the way. The project stems from the work of Peter Senge at the Massachusetts Institute of Technology (MIT).